Most of us decide to use a dedicated tool for post processing sooner or later for our beloved photo shoots. Personally I have found lightroom to be quite intuitive and straightforward while offering some very powerful features to touch up and finish your photos. Sure you may still need photoshop for filters but how often we use those really? Chances are that you will need a capable post processing tool for everyday use, so let’s get into a Simple Lightroom workflow and see what it takes. I have it setup on both Mac and my second computer which is windows. The steps are not too different but at times your will need to find the right option in windows as I have described for Mac in this blog. You may choose to setup the preferences in lightroom for your setup, for example if you have discreet graphics (running nVidia or AMD graphics card), you can boost performance while choosing to use your graphics processor and smart previews. For my setup, I have AMD M290X in my mac and nVidia 1060GT on my windows, where it will be using the “CUDA” cores of the GPU to accelerate the application. Other features like renaming files, changing extensions and how you want to treat your meta data is also here. Make sure you understand how you have setup file handling here. Make sure you choose your destination folder wisely, this is where your photos will go once exported. You can Also choose to rename your photos as you prefer because in most cases the camera would name it in a machine language (DSCxxxx) unless you have specified it inside camera settings. You can setup your lightroom the way you want and get to the next step when ready. 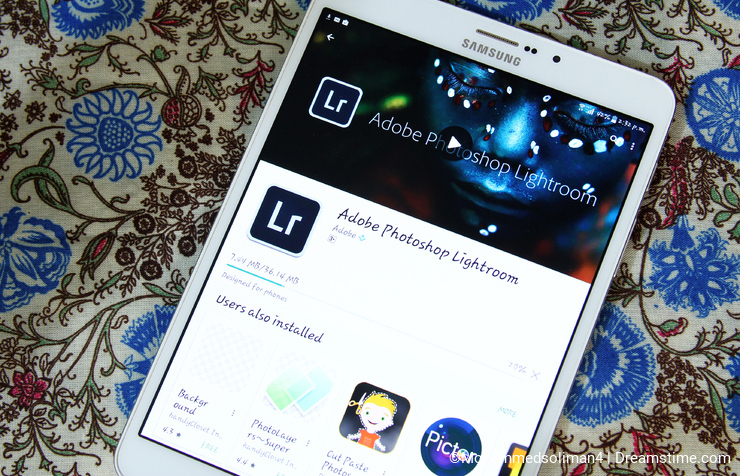 Once you have installed and activated lightroom, the first thing you need to do is import your photos. Most probably you will be in the library module, click Import in the lower left button. You will be asked to select a source and given relevant options. Choose the images or select all to import them into the software. If you cannot find your photos, navigate or browse to the drive, camera card or the camera. If your camera is not recognised for some reason, no need to sweat. Just plug the memory card directly to the computer and start to look for it in there. You will need your camera to be powered on if directly hooking up the camera to the system. Also if the images are in a subfolder, make sure you choose the “include subfolders” while in the “to” panel. You may have taken multiple shots of the same subject and shoot, to make sure you can select the ones your want, choose those photos and make your selection. You can cull the bad images, shaken and blurred shots. Getting rid of the unwanted shots is a good thing to do in this step. The photos are not deleted but just removed from the import library in lightroom. Time to “develop” the photos now. Go to the develop mode by clicking “develop” at the top right. Here you will see a lot of settings. Most options like white balance, contrast, brightness, hue, selective color processing are available to you. The histogram is quite useful in showing you the image range and independent color channels. This gives you a clear idea if areas in your image are washed out or over darkened. The spot editing tools are quite useful and for each spot, you have independent editing controls. Quite useful when you want to just touch up a few areas of the image and not the whole photo. Whatever adjustments you make are saved and you can continue editing from where you left even if you close the application and re-open. You can also save your presets from the preset panel for easy repetitive application. You can select to include or exclude various settings individually for a preset. After you have made your edits, it’s time to export your photos. Go to file>Export for a simple export to an output folder you chose in preferences. You can also create slideshows or web galleries and do other things like sharing on social media directly. In the export dialogue box, you can find options for exporting multiple images along with the quality settings. Options like watermarks are also available. This will take some time depending upon your file size and amounts of edit and this is a disk intensive task for large batches. While this is just a simple lightroom workflow withe some details that I included, there are tonnes of options and tools in lightroom that you can use for that perfect post processing job. Go on and explore more! Do share your views and thank you for reading! Photo credits: Mohamed Ahmed Soliman.